Aloe Vera Gel is used to moisturize and strengthen your hair, leaving it healthier, shining, and tangle free. 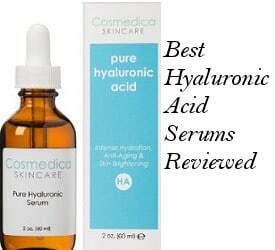 It also combats a wide number of skin problems including dry scalp. People use it as a pre wash conditioner and even as a light hair gel in some cases. So, unless you are growing your own aloe vera plants and making your own gel, finding the best aloe vera gel for hair is a matter of selecting the most natural and pure aloe vera gel for hair. Look for a cold pressed aloe vera gel that doesn’t contain harmful ingredients. The aloe vera gels we are going to present here contain good natural ingredients and get top ratings. In the following reviews, we will provide you with more details about these products, so that you are more informed about their benefits and the rest of their features. The ArtNaturals Aloe Vera Gel, which is suitable for external use only, contains the Barbandensis Miller variety of Aloe which has a proven concentration of medicinal healing properties. The aloe vera used in this gel is grown and harvested in Southern Texas and is certified organic by the Texas Department of Agriculture. 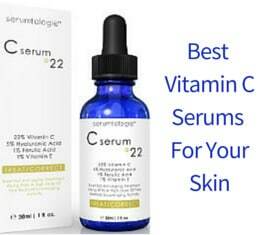 It is cold pressed for maximum benefits and does not contain parabens. Also, it is suitable for vegans and is cruelty free. According to the company, there is a very small amount of natural preservatives used in it including 0.25% potassium sorbate so that you don’t need to keep the product refrigerated all the time. 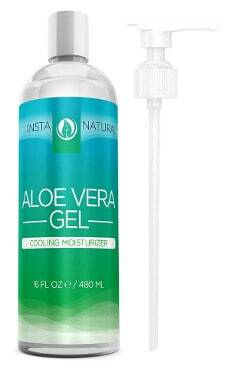 This gel comes in a 12 ounce handy bottle and its packaging is made with recyclable materials. It is also followed by a 100% money back guarantee. The manufacturer states that their product is perfect for sun damaged dry hair to repair split ends and restore their natural shine. It boosts the hair moisture and makes it look healthier and feel softer. Ratings for this ArtNaturals Aloe Vera Gel are excellent. Users say it has a liquidy texture and is only slightly thicker than water. Most people purchase this for a wide number of uses including making their own skin lotions and hair products. When targeted to treat their hair, they tend to use it as a pre-poo, working it into their hair and scalp, and letting it sit for several minutes to ½ hour before shampooing their hair. When used as a pre-poo, they feel that their hair looks healthier and gets more manageable. The Radha Beauty Aloe Vera Gel is an extra hydrating natural cold pressed gel which is free of parabens, phthalates, sulfates, synthetic fragrances and dyes, GMOs as well as triclosan. It comes in an 8 fluid ounce container with both a screw on cap and a pump top, and is sold with a full money back guarantee. The company suggests that their gel can work as a conditioning gel which can reduce dry, damaged, flaky and frizzy hair, adding an extra shine and bounce to it. Users give Radha Beauty Aloe Vera Gel excellent ratings and they describe it as quite thin and a little less than gel like. They like the option of being able to either use the pump or pour out the gel, and find that this product serves a number of other uses apart from treating their hair and scalp which include relieving sunburn and easing the sting, itch and burn of bug bites and stings. When used on their scalp and hair, people say that it helps to reduce dryness and leaves their hair shinning. It is worthwhile mentioning that some users have even experienced new hair growth. This product is also used as a styling gel when users don’t need a strong hold. The InstaNatural Aloe Vera gel contains 99.78% organic aloe combined with a minimum percentage of safe preservatives such as citric acid, potassium sorbate and xanthan gum. 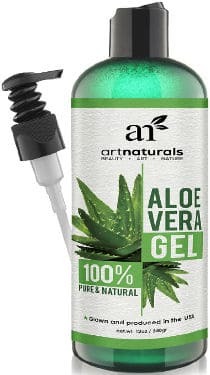 This is a high quality cold pressed aloe vera gel which comes in a 16-ounce container with both a screw top and a pump, giving users the choice of how to dispense the gel to suit their needs. It is made in the USA and according to the manufacturer, it is a pure multipurpose both hair and skin care product. When used on your hair, it works as a great natural conditioner that helps damaged hair as well as dry and flaky scalp. Reviews for the InstaNatural Aloe Vera Gel are very good. Users do state that this gel is a bit on the thin side. While most of them use it for treating a number of different skin conditions including sunburn and bug bites, people who buy it for their hair say that they use it as a pre wash. So, once they wash their hair, it is easier to detangle it, leaving it feeling soft, silky, and healthier. The Earth’s Daughter Aloe Vera Gel is a cold pressed and 99.75% organic natural product which is free of dyes, alcohol, perfumes and other irritants. It is cold pressed and the aloe used in it is grown in the USA. 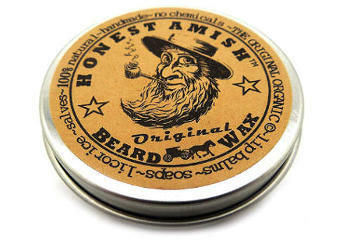 The product is bottled in the same country and comes in a 12-ounce thick dark plastic bottle. The minimum percentage of preservatives that have been added for the product to have a shelf life are citric acid, ascorbic acid and potassium sorbate used and xanthan. It is followed by a 6 month full money back guarantee and 5% of the company profits is donated to charity. According to the manufacturer, it works ideally for moisturizing hair and absorbs quickly without leaving any sticky or oily residue. They also suggest that although this is not a very thick gel, it makes a very good light hair gel to be applied, preferably, when your hair is wet. The Earth’s Daughter Aloe Vera Gel gets very positive reviews. People use this as a pre-wash for treating dry hair and scalp. They work this thin gel into their hair and scalp, and allow it to sit for a half an hour or so before washing and drying their hair as normal. When using it as a pre-shampoo, their hair is easier to detangle, more hydrated, soft and shining. The La Lune Naturals Aloe Vera Gel is a 99.75% organic cold pressed gel that comes in a 12 ounce container. This Aloe Vera is grown and hand harvested in the USA and the product itself is bottled in the same country. It contains minimal food grade preservatives so that the gel has a 2 year shelf life. Your purchase is followed by a full money back guarantee and a free eBook which is a recipe book showing users how to make different skin and hair products using this gel. A dispensing pump and a flip spout cap are also included in the package when you buy this product and each bottle is sealed at an FDA approved packaging facility to ensure freshness. Reviewers give the La Lune Naturals Aloe Vera Gel excellent ratings and say that when used to treat dry scalp and hair, their scalp has a cool feeling, and once washed out, it helps to calm their irritated scalp and reduces frizz. They also state it is great for their hair looking and feeling more hydrated and healthy. 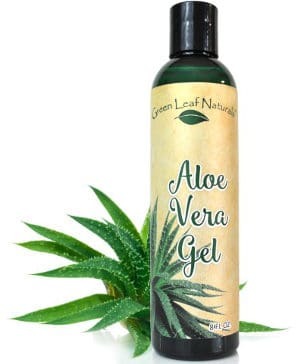 The Green Leaf Naturals Aloe Vera Gel is a 99.75% organic and cold pressed aloe vera gel that comes in an 8 ounce container, it is made in the USA and is followed by a 100% money back guarantee. According to the manufacturer, this aloe vera product has a thin consistency and helps to promote hair growth. It can be used as a light hair gel and also works fine as an aftershave. It contains 0.25% safe preservatives. Users are very pleased with its multiple uses for their skin and hair. When used to treat dry scalp and condition hair, they find that their hair is easier to detangle, softer and less frizzy. When reading aloe vera gel reviews, it seems that many users were surprised at the thinness of the gel in each of these products. It should be noted that organic and natural aloe vera gel is quite thin and watery. Thicker Aloe Vera gels are thick due to the addition of other ingredients and have a smaller amount of aloe vera in them. 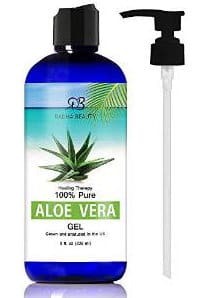 So, keep in mind that it is normal for aloe vera gels to be thin and not thick and that a thin gel actually indicates there is actually a good amount of aloe vera in the product. In addition, some users are surprised that these gels are not dark green. 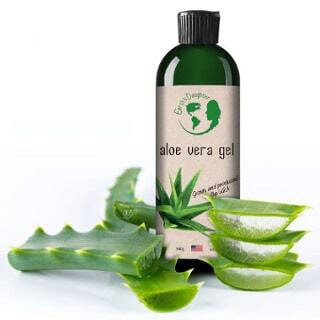 Natural aloe vera gel is not green in color, but it is actually colorless, so any dark green aloe vera gel is due to artificial coloring in the gel. 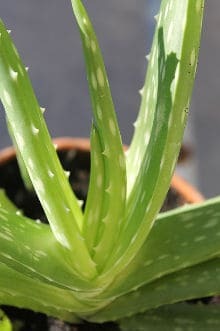 Is Aloe Vera Good For Hair Growth? Aloe Vera is said to promote hair growth because it contains proteolytic enzymes that stimulate inactive hair follicles, strengthening the hair and promoting its growth. It also gives hair a silky texture and revives the scalp due to its ability to repair scalp cells that have been damaged. To benefit from the properties of aloe vera for hair loss, you can spread some aloe vera gel on your scalp and gently massage it for a few minutes. Let it on for half an hour and then shampoo your hair as usual or just rinse it off. This aloe vera gel mask has hair strengthening properties so you may soon notice that you are losing less hair. It is also scalp revitalizing and can deal with dry skin issues such as dry or even peeling scalp. You can follow this natural aloe vera treatment for hair and scalp every day for a period of at least 3 months. Aloe vera gel is not only good for hair loss but it is good for your hair in general. Let’s have a look at some more benefits of aloe. Due to its hydrating and emollient properties, natural aloe vera gel is a great solution for dehydrated, damaged and dry hair that have a tendency to frizz. Aloe vera gel is also useful for hair styling because due to its hair conditioning properties, it can protect hair against hair styling damage. Another benefit of aloe is that it can reduce the symptoms of dandruff while also soothing itching and irritated scalp. For best results, you can use aloe gel before shampooing but using a natural aloe vera gel shampoo is also a good option to fight dandruff. 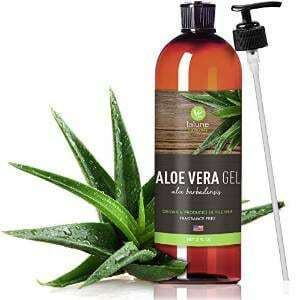 In addition, aloe vera gel can protect your hair from the damaging effects of the sun as well as different types of daily hair threats such as of hair straighteners, irons and other hair styling tools but also negative hair conditions such as excessive scalp oiliness as well as dry itchy scalp and hair. As a Conditioner: Put the quantity of conditioner you usually use in a bowl and add 1-2 tablespoons of aloe vera gel. Stir the mixture well and apply to your hair as you normally do with your hair conditioner. Leave the mixture on for about 2-3 minutes and then rinse your hair with water. As a mask for damaged dry hair: Aloe can be very beneficial for damaged dehydrated hair. You just need to apply aloe gel to your scalp, gently massage and let it on for 20 minutes. Finally, rinse with lukewarm water. As a homemade gel for frizzy hair: Just a thin layer of aloe gel on the hair can prevent frizzy hair in a simple, fast and totally natural way. As a softening product to control unruly hair: Mix some aloe vera gel with olive oil and a few drops of vitamin E oil, and gently rub the mixture to your scalp and hair. You will immediately notice that your hair will become softer and feel smoother. If you are looking for the best aloe vera gel for hair, there is certain criteria you may need to keep in mind. First, the processing procedure of the aloe vera leaves is very important to retaining the properties of the active ingredients of the aloe vera plant extract. Cold pressed aloe vera gel is considered to preserve and maintain the therapeutic properties of aloe vera as opposed to the heat treatment of the leaf gel. In addition, the conditions under which the aloe vera plant grows are important for creating a good quality effective aloe vera gel product. Also, try to avoid products that contain cheap fillers and chemical preservatives. Most of the good quality aloe vera gel products that are available in the market today contain a very small amount of natural preservatives such as vitamin C and some type of thickener such as Xanthan gum, Carbomer or others. Besides, you should always check that aloe vera is listed top in the full list of ingredients and that is free of GMOs, dyes and artificial fragrances. Finally, it is best to buy aloe vera gel from reputable companies that create natural and organic skin or hair care products. If your hair does not grow as fast as you would like, the following hair growth aloe vera recipe is for you! It is easy to prepare and most importantly effective. In a glass bowl, mix 1 tablespoon of aloe vera gel with 2 tablespoons of coconut oil, a little castor oil and one vitamin E capsule. Apply the mixture to your scalp, massaging it softly for five minutes. Then, you can lie on bed and after covering your pillow with a towel, rest your head on the pillow and start massaging your scalp again to boost circulation, which is very important for hair growth. 2-3 minutes of massage are enough. If you have long hair, you can then tie it in a knot braid. You can follow this recipe 4-5 times a week to experience some positive results. In conclusion, if you are looking for the best aloe vera gel for your hair and skin, then any of the 6 brands reviewed above may well meet your needs.